A meeting with Stéphane Huet, chef at the la Civelle restaurant at Trentemoult. A chef who puts freshness at the heart of his trade. In May 2014, it was at La Civelle on the banks of the Loire at Trentemoult that the seasoned chef continued his adventure. An authentic restaurant where one lives well and eats well. Babeth and Vincent Leduc, the owners, give him complete freedom with regard to the purchasing and selection of products. He only works with fresh in-season products in despite of the very high volumes. In the kitchen, the chef manages a team of 11 people and works in close collaboration with the Sommelier who consults him frequently for the best “food and wine” combinations. 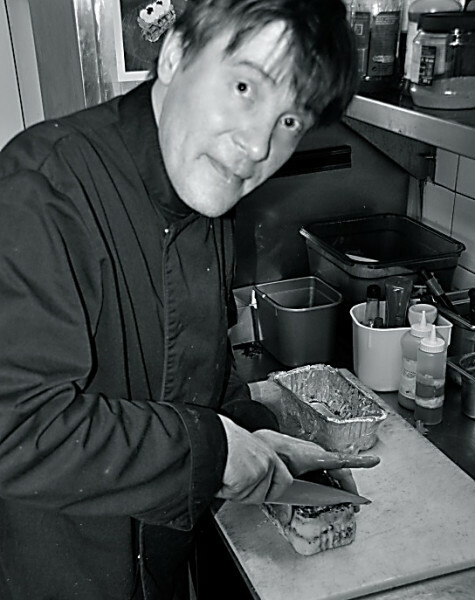 In his kitchen, Stéphane Huet practices a zero-waste policy, all of the products are used during the day or the evening to make up his varied menus. Imagination, creativity, and reactivity are the keywords. < Quentin Boeglin, won the Foie Gras Challenge!